oz.Typewriter: Is Purple the New Red in Typewriters? 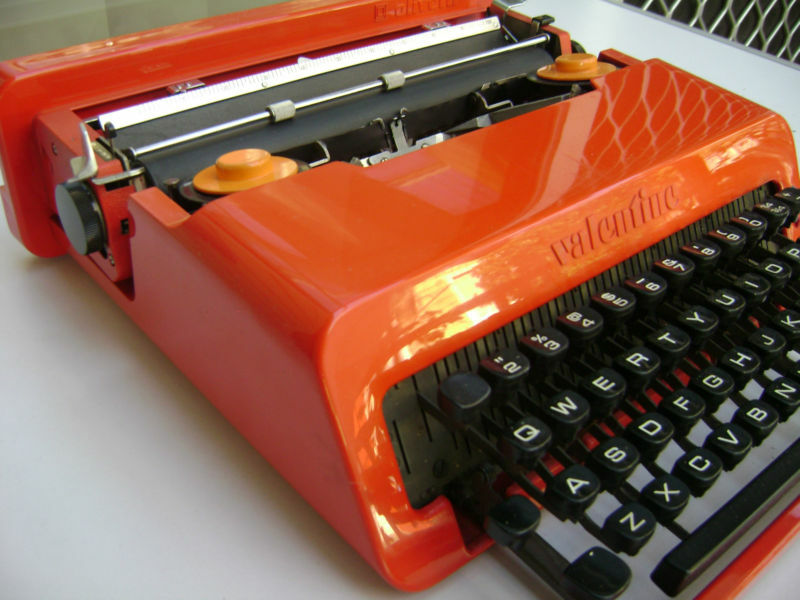 A very good friend of mine has just sold on Australian eBay a red Olivetti Valentine for $183 after 17 bids. It looked to me to be in excellent condition, and was presented really well, sleek and shiny, with a very good, straight listing description. 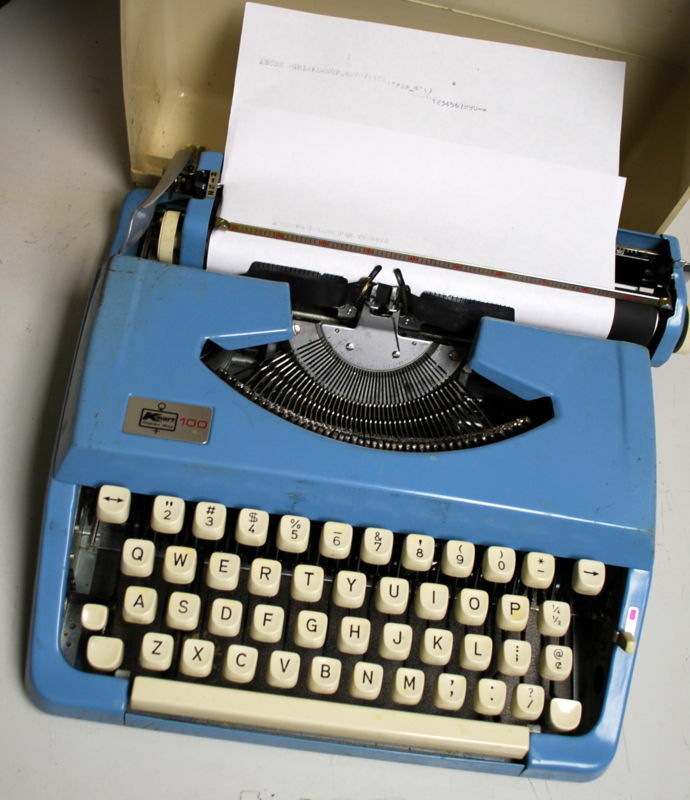 I know for a fact that the typewriter will leave the seller in tip-top working order, too (for a Valentine, that is). Frankly, I was tempted to bid at that price myself, but then I have two too many red Valentines already. I may be wrong, but I suspect my friend's Valentine is headed overseas. Have Australians lost their obsession with red Valentines? 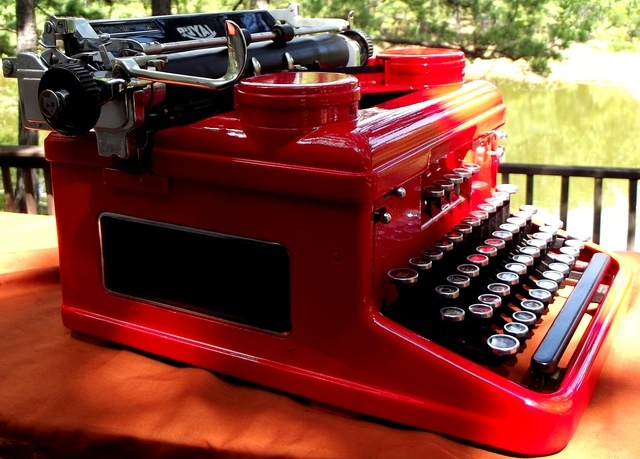 There was a time, not so long ago, when I would have tipped a bright red Val in this condition would go for $400 or more. In fact anything red, or vaguely red, or approaching red, went for higher prices. No longer, it seems. On the one hand that may be a good sign. There is healthy competition on Australian eBay right now for the like of a Royal Quiet Deluxe ($177, 21 bids; sold for $204 after 23 bids), a refurbished Blick 6 listed by another friend of mine (in this condition, a bargain at $295) and, despite a very blurry image, a Hermes 2000 ($350). Maybe it's a colour thing. Vals still appeal, but no longer in red. In Britain, an off-white Valentine has an asking price of $915 on it. 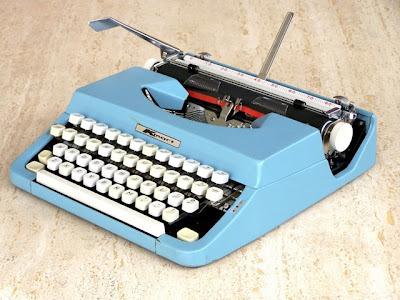 Yet another good friend emailed me in horror last night when a "purple" Remington Riviera was listed at 99c and within three hours had shot up to $66. There's still a week of the auction left! "What is it with these purple machines???" my friend demanded to know. "I think I might paint all my unwanted machines that colour." 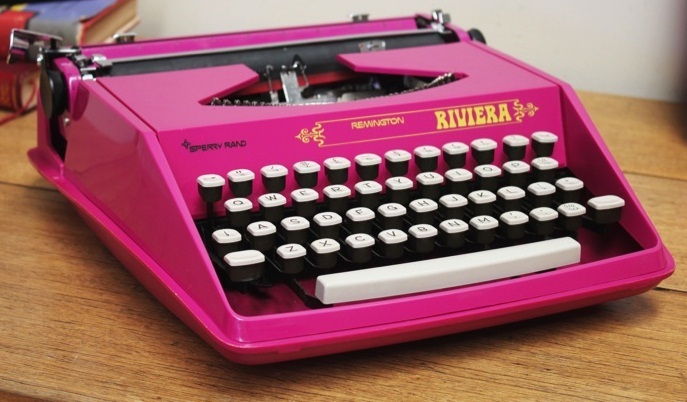 Actually, I'm not sure what colour the Riviera is. I've seen these listed as "hot pink". I'd probably call it puce. Eva, 82, who some readers might recall from my post about her Empire Aristocrat, has another (excellent) word for it: She calls it "emetic" (induces vomiting). The seller of the Riviera would most certainly be acting wisely if he or she took their cue from last week's sale of a purple KMart Nakajima for a staggeringly stupid $306. In this environment, who'd be silly enough to call it "hot pink"? Purple is IN! We Australians would apologise most profusely to our friends in the United States if we believed this purple haze craze had spread eastwards across the Pacific Ocean and reached sleepy ol' McCordsville, Indiana, where a "rogue" has awoken the dead by painting this Royal Heritage. 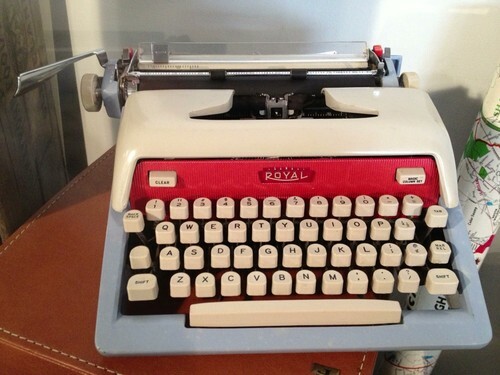 The seller wants $250 for it. I might offer "rogue" $250 to bury it in his back garden, before anyone else sees it. Happily, over in Potosi, Missouri, there's been a special cut-price deal on red enamel spray paint and red is STILL IN! (At least in Potosi, Missouri.) Someone called "godschild" has put the devil's lick on these "customised" Royals. 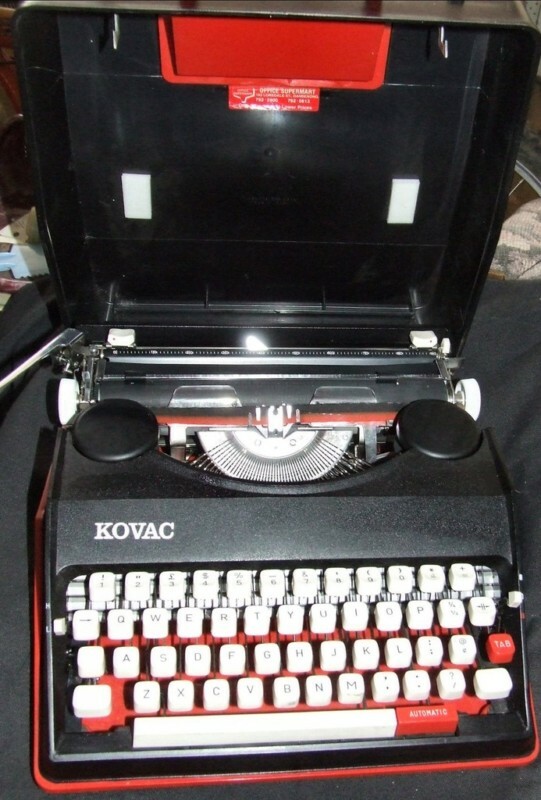 The seller wants $1100 for the 10 and $450 for the portable. I wonder how much my Amery would fetch? 1100 Zimbabwean dollars? 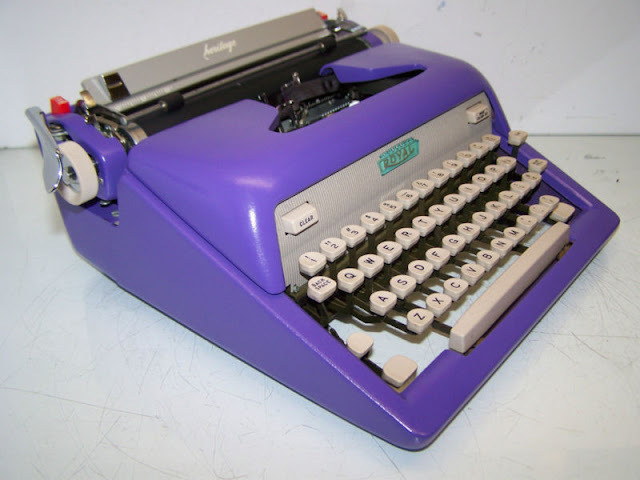 Where purple gets the inside running is when one keys in "red typewriter" and is hit by 76,459 listings for black-and-red typewriter ribbons. 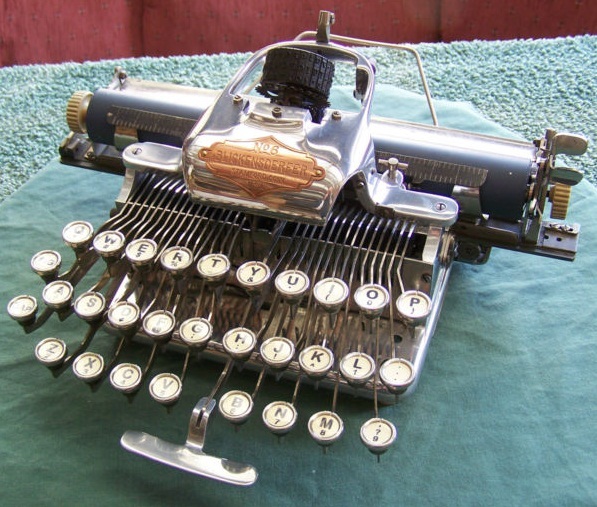 But persist, dear reader, a few red typewriters will be in among that lot somewhere. 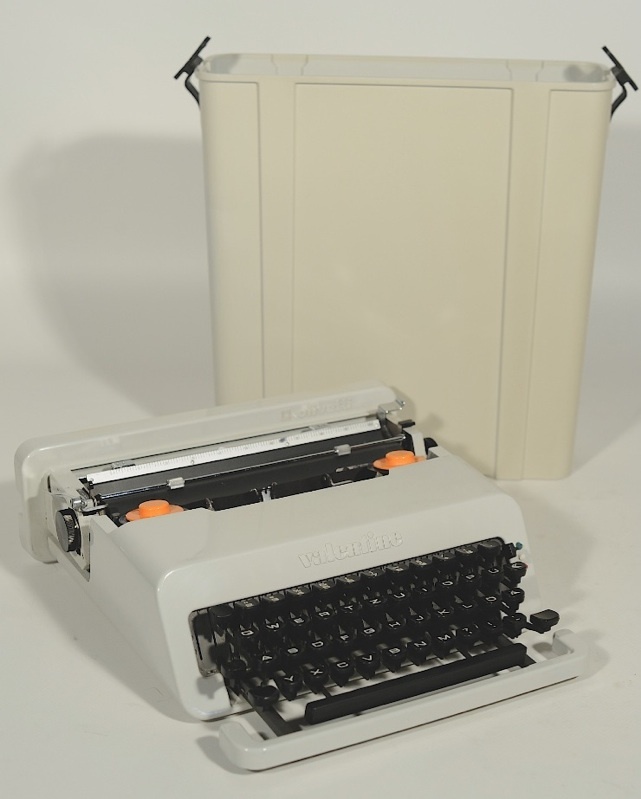 It's good to know, for example, that 33 bidders managed to find this lovely Royal Futura 800 and pushed the price up to $76. 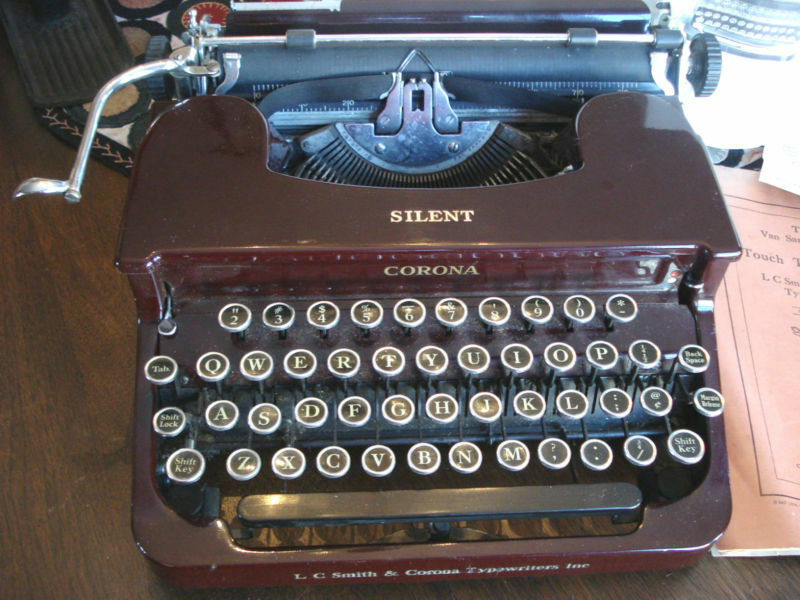 Meanwhile, a truly magnificent burgundy Corona Silent languishes at $41 after 10 bids. Another is at $99 after one bid. Where's the justice? Back here in the Land of Oz, it's very pleasing to see our old friend Dusty Lucy in South Australia has been honest enough to list a KMart as a relabelled Nakajima. Honesty deserves it own rewards and her KMart has gone from $19 to $35 after nine bids. Elsewhere one can find a blue Brother KMart for $90 or a blurry green Brother KMart for $45. Somehow I think the world record of $306 for a purple Nakajima KMart is safe - at least for the time being. 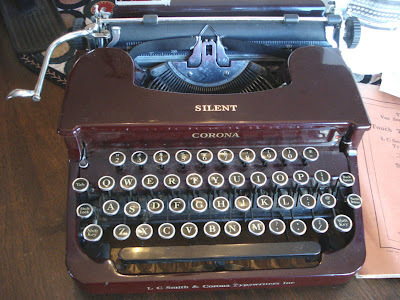 And yet a gorgeous Corona 3 sold on Australian eBay today for only $202.50 - if only I had been in a position to bid! Thanks for the insightful post. I need to watch Australian Ebay. A Blick for $295! That would be just over $300 USD. One day I may get a Valentine just to have. I am not interested enough in them though to pay what they sell for on Ebay. I remember The Thing. It was a bit before my time, but I played it often when I was working at an Oldies station. Thanks for this overview. Rather erratic, this whole ebay business. Australian eBay Typewriter Sales: Who knows what's coming next? Hi Bill. I listened to The Thing this morning, first time in many years. It is so appropriate for that purple "thing". 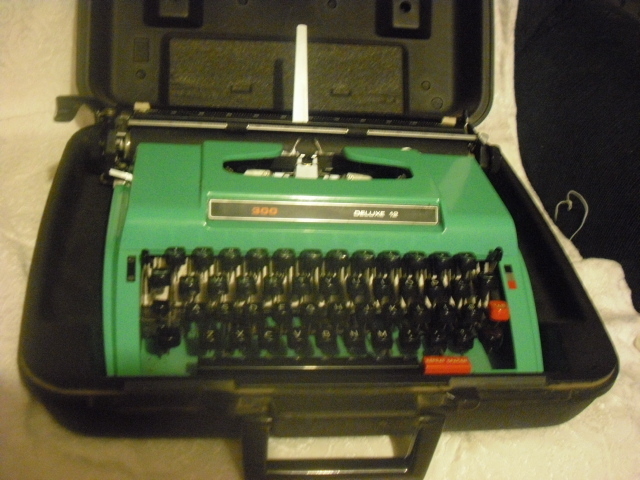 The Blick went for a very reasonable price. Peter Brill had put a lot of work into that machine, too. I wonder if the price of Valentines is going down as purple things rise.